So why not take advantage of such scripts? you don’t have to waste your time clicking Invite or Add buttons all the time, a simple script would do it automatically. 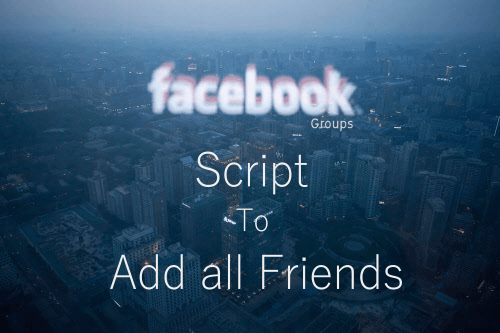 So lets get started with how you can use Scripts to Add all your Friends to a Group. [ * ] Use Chrome Browser. Open any Facebook group that you are a Member of OR The Group which you own. Note down the no of members at this time, just for the verification. While you are in the Group, Press F12 Button on your Keyboard. This will Open up Developer options Window.